It’s no secret that technology companies want to know what you’re doing online. They want to gather and use that information. 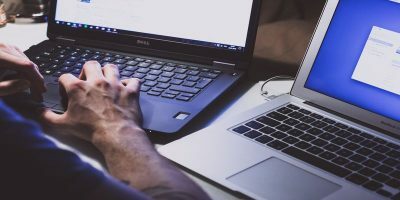 Whether it’s a giant like Microsoft or a new app from a small company, you need to be aware of what they are collecting about you. 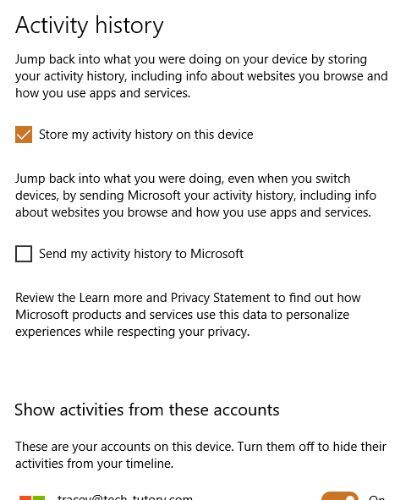 If you want to reduce the amount of data going out about you, you can use Windows 10’s Privacy Settings Menu to do so. 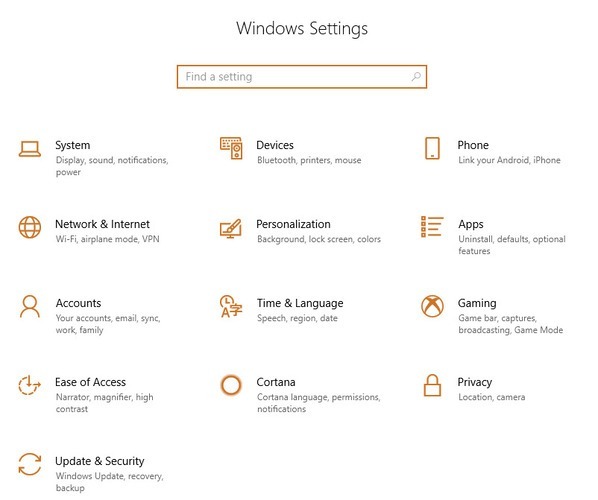 Let’s look through the Privacy Settings portion of your Windows Settings and find the area where you would like to tighten up your security. General settings allow you to change the overall level of privacy on your computer with regards to personalizing your advertising experience. If you do not want Microsoft gathering this data, you can toggle all three switches to off or select only the ones you agree to. 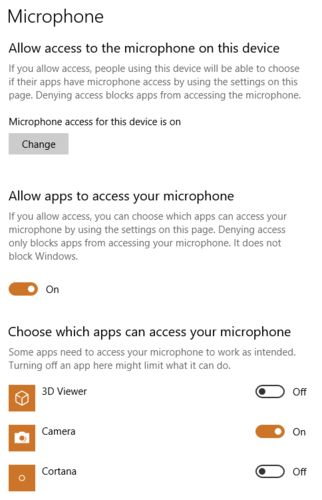 The speech privacy settings give you the option of allowing Microsoft to store your voice on the cloud. 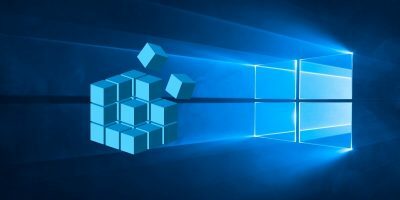 It also uses this data to improve Microsoft’s cloud-based speech services. 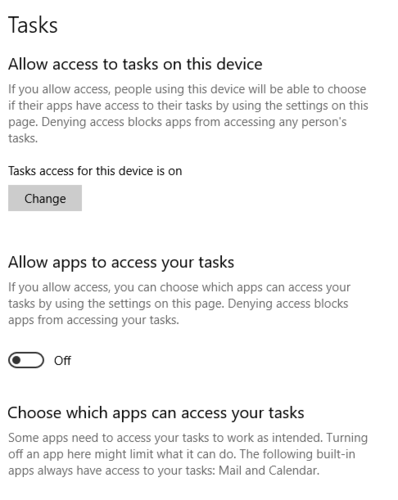 Without this option enabled, you will not be able to use the Cortana assistant. 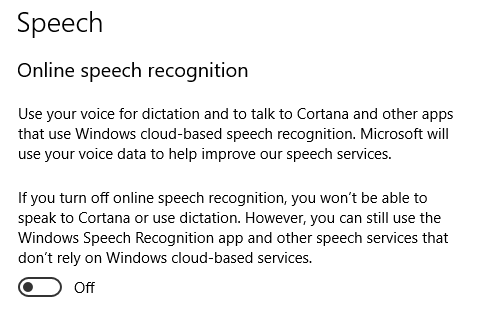 If you use speech services that do not rely on the cloud, they will still work even with this service disabled. 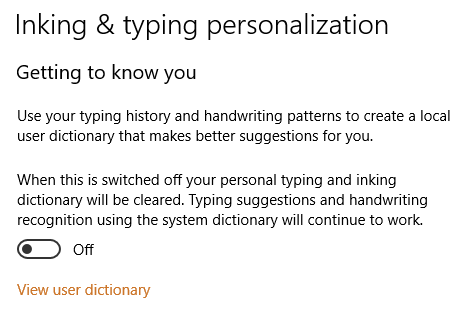 Very similar to the settings for Speech, Inking and Typing Personalization saves your typing patterns and handwriting patterns on tablets or 2-in-1 computers. 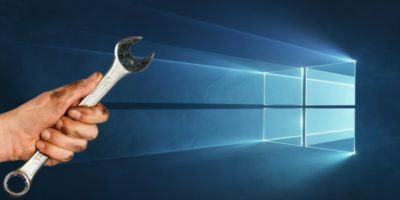 Without it, you may lose some of the features you are used to, but as with Speech, those services that are stored only on your computer will still work fine. 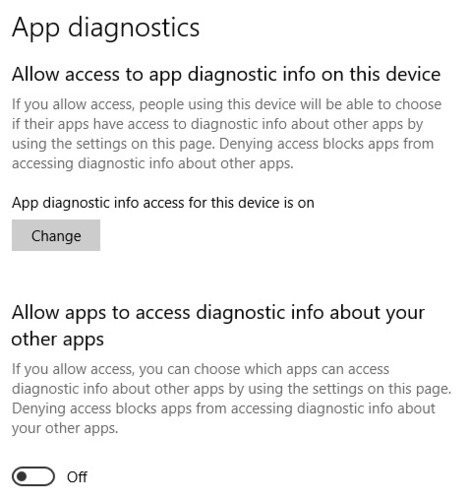 This section is where you control how much diagnostic and usage data you will allow Microsoft to have. You will probably want to allow as little data as possible to transmit over the Internet, so click the radio button labeled “Basic” to limit that. You can also toggle the switch for “Let Microsoft provide more tailored …” to off to avoid having data sent to customize your experience. Finally, at the bottom of the settings, there is a setting to control how often Microsoft will ask you for feedback. You can choose from several different options here, including Never. 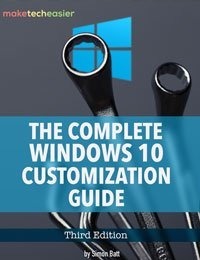 You may want to check the Activity history to determine if information regarding how you use your computer is being sent to Microsoft. If it is, it’s probably a good idea to turn it off. 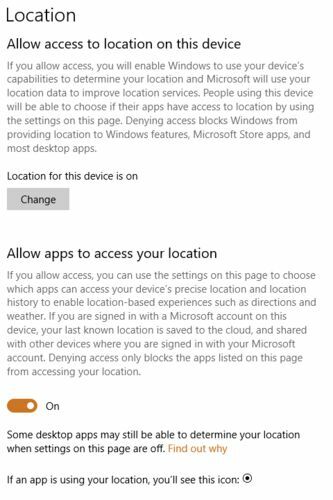 Turning off the Location feature on your device will eliminate the possibility of your computer sending your physical location to Microsoft. It will also keep apps from doing the same. 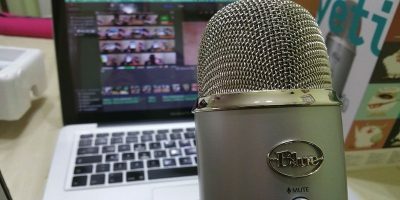 The Camera and Microphone settings are very similar. 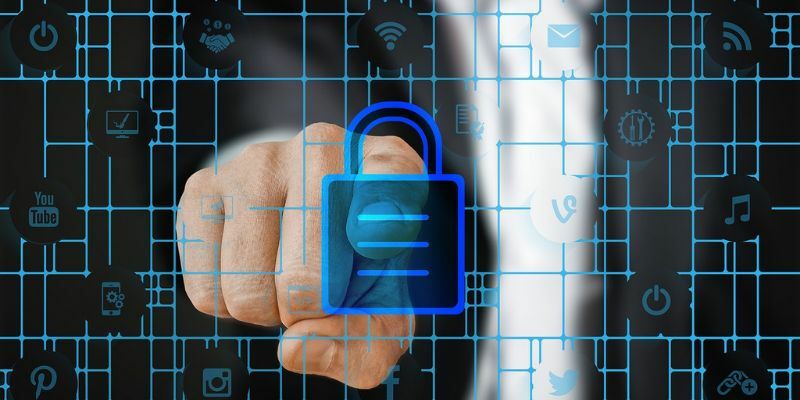 If you want to use these pieces of hardware, you need to make sure they are allowed to be accessed by the computer. Then you should choose the apps that you want to let use them. Keeping track of these settings can help you avoid programs using your camera and microphone without permission. 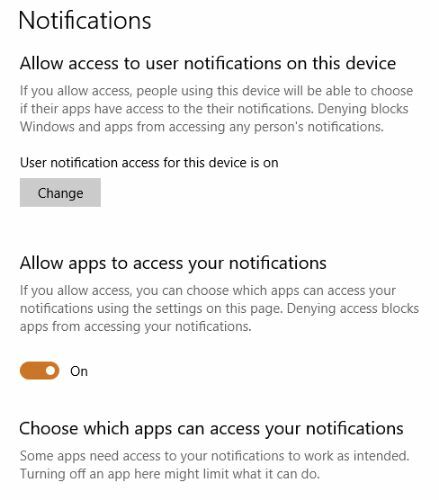 If you don’t want your apps to send you notifications, you can restrict their access to your notifications in this section of the privacy settings. If the alerts are turned on, you can select which apps are permitted to send them. 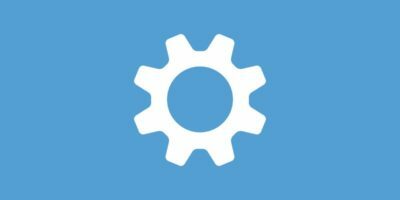 Don’t want your apps to have access to your account information on your computer? This setting will allow you to turn off that access and keep your account information safe. 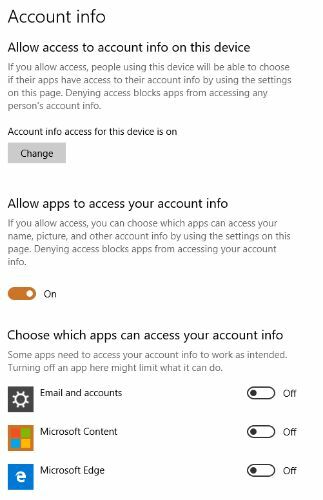 If you have some apps that you want to allow access, then keep this setting enabled, and choose only the apps that need that information. 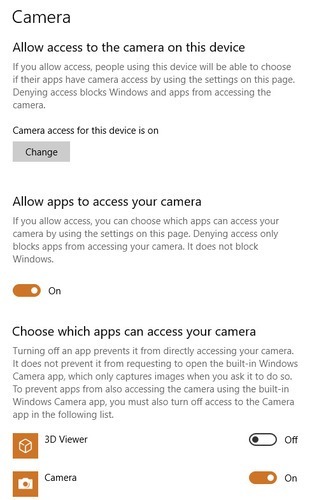 These two sets of options let you choose which apps are allowed to access them and which ones are not. Just toggle the switches next to the apps, or turn it off altogether. 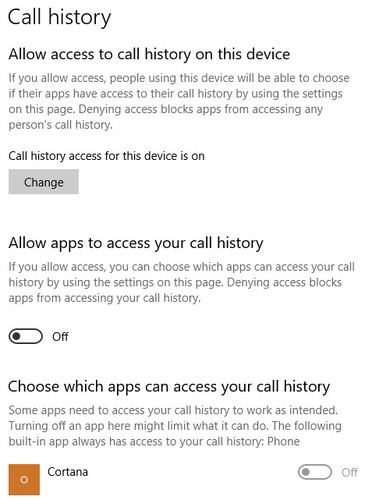 It seems that few people use their Windows machine for making phone calls, but if you do, you’ll want to check this setting to make sure that no other random apps are accessing that data. 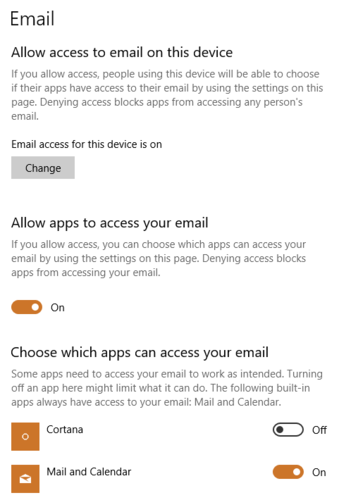 Certain apps are going to require access to your email. Check out this setting to ensure the only ones accessing this information are the ones you know. These two settings have very similar controls. Decide if you want your computer to be able to access your task lists or messages, if you have these on your computer. If so, select the appropriate apps. Radios are the transmitters that send information via Bluetooth and Wi-Fi, among others. 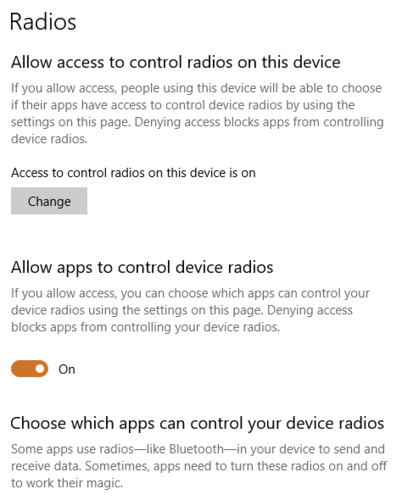 You most likely need these to be on, but you can control which apps are using them by toggling the on and off switch next to each app. 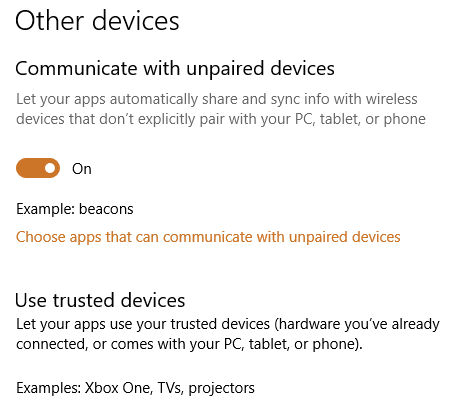 This setting allows your computer to communicate with other devices that are not already paired with your computer. 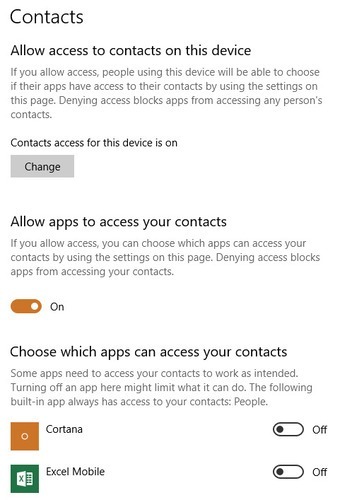 When this setting is enabled, you will be able to pair with external devices you trust. Checking this setting will not only improve privacy, but it can improve performance. 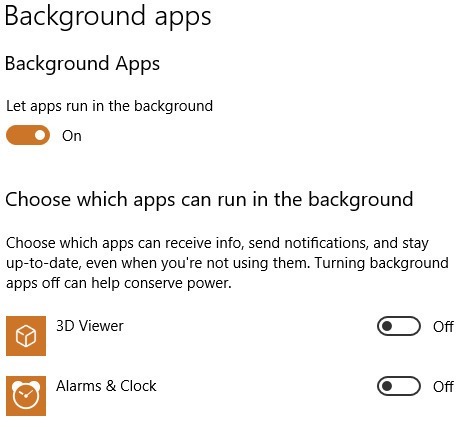 If you have too many apps running unnecessarily in the background, it can slow down your computer, so look at this list and turn off those running apps you don’t need. 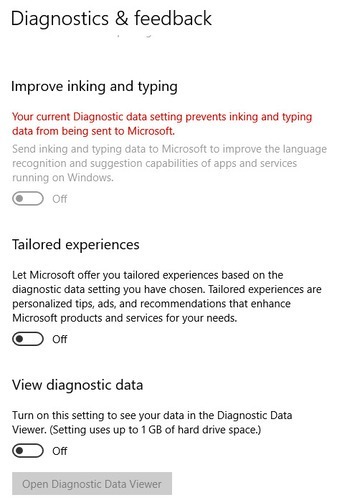 This setting determines how much information you will send Microsoft in case you need a problem diagnosed. You should only need to submit information about the affected apps, not any others. 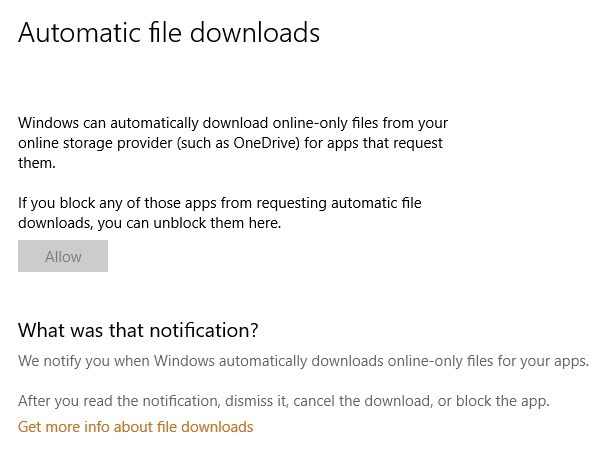 The Automatic file downloads section unblocks apps so they can automatically download files from online cloud storage services. 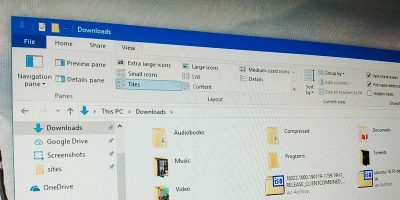 If you use online storage to keep your hard drive from filling up, you’ll want to allow only certain apps to have access to these files. 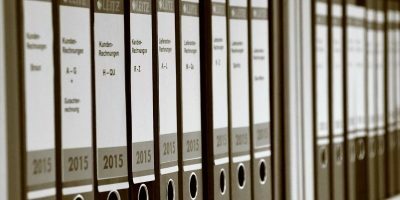 The settings options for your file system are the same as different types of documents such as videos and photos. 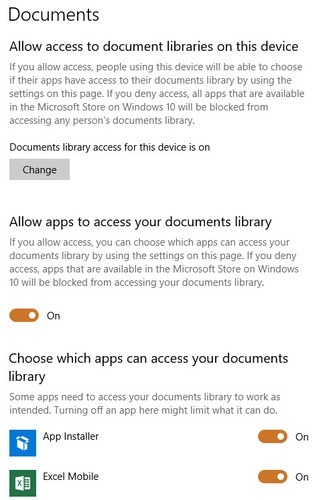 Similar to other settings, you can allow your apps to access these files and individually select which ones are allowed to do so. These settings options are the easiest way to improve your privacy. There are many other ways to reduce the amount of data sent about you. You’ll definitely want to take a look at Cortana’s settings as well, as that app collects a great deal of information.